Scorpion Sports are a UK leading supplier of Rugby Kits and off field leisure clothing based in Coventry. Scorpion Sports are a leading supplier and producer of Rugby kits. Based in Coventry we offer a wide range of leisurewear and training garments suitable for the Rugby community. With our in-house print and embroidery service we can brand stock garments within a couple of days. Scorpion Sports stock 1000's of garments in 15 plus different colour combinations, all available branded with your club badge and print requirements. As well as our own stock lines, we also have the facilities to produce bespoke garments available in your clubs colour scheme (minimum order quantities apply). Our rugby kits are produced from our UK sublimation factory using the latest print technology. We are able to produce high performance rugby kits in any pattern or colour, with a choice of fits and collar styles. 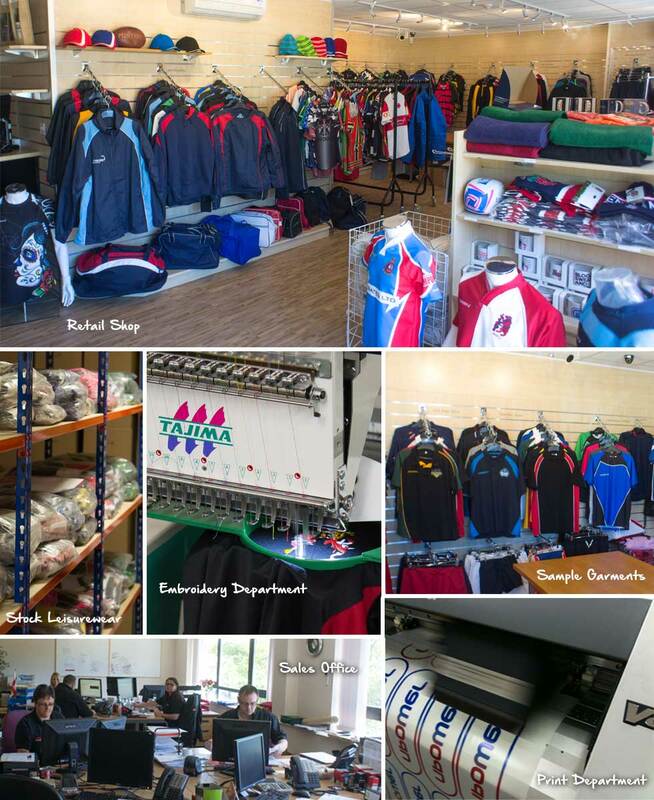 2014 we open our retail shop in Coventry to cater for clubs and players looking to purchase their rugby kits and leisurewear in person. The new shop is open to the public, and is a great way for players and club members to try on sizes, and discuss requirements further. Opening hours are Monday to Thursday 9am to 5pm, Friday 9am to 3.30pm, weekends please phone first to confirm if we are going to be open.